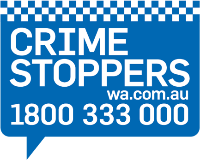 Armadale Detectives arrested a 21-year-old man yesterday (9 April 2019), as a result of their investigation into several burglaries. It is alleged between 4 and 8 February 2019, the man smashed windows to gain entry into homes in Canning Vale, Huntingdale, Kewdale and Langford, stealing personal items, including cash, jewellery, mobile phones and handbags. The value of items stolen across the burglaries is estimated at $100,000. •	Two counts of Steal Motor Vehicle. He is due to appear before the Armadale Magistrates Court on 28 June 2019. Inquiries are ongoing into several other incidents which may be linked.